“Rarely do policymakers get such a clear-cut opportunity to save lives,” said Gov. Ralph Northam. Majorities in each house of the General Assembly supported a total ban on handheld cellphone use in this year’s session, but slight differences in the bills meant they were sent to a conference committee, where the bill eventually died for the second straight year. On Tuesday, Northam offered amendments to a separate bill that did pass, which aims to ban handheld cellphone use by drivers in highway work zones. 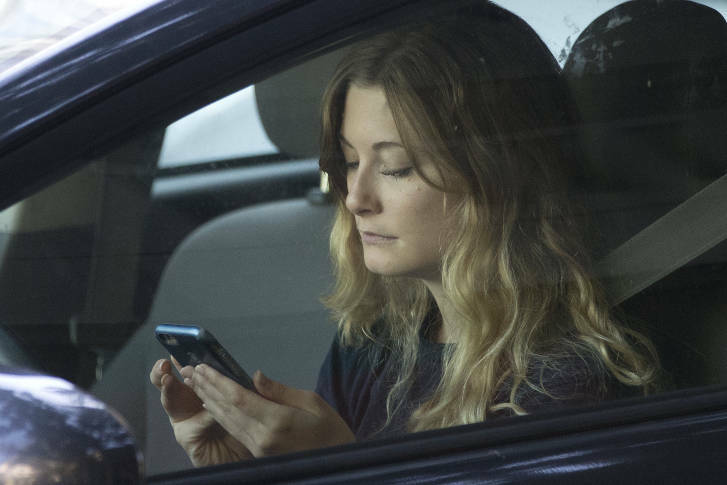 Northam’s amendment would ban the use of handheld devices by any drivers beginning July 1. “Rarely do policymakers get such a clear-cut opportunity to save lives,” Northam said. The General Assembly returns next week for the one-day reconvened session to consider Northam’s amendments and vetoes of a number of bills. He expects the handheld cellphone ban will pass. “We have made the laws tougher on drinking and driving, and now we need to do the same thing on using personal communication devices,” Northam said. Sen. Monty Mason supports the amendments Northam is offering to his work zone bill. “I drove up this morning and I have double-digit anecdotal situations that I could share with you from 95 this morning, including the gentleman that passed me in the left lane with both hands on the wheel, using his thumbs. Not just reading, which I saw several, but using his thumbs going by me at least 80 miles an hour,” Mason said. That prompted audible groans from roadway safety advocates at the announcement, which was Northam’s first official event in Northern Virginia in the nearly two months since a blackface scandal broke. Later in the day, he went to Charlottesville to offer a budget amendment meant to help people who have lost their driver’s licenses solely due to unpaid court costs, which can then make it difficult to earn the money needed to pay the fines. Tuesday was the deadline for Northam to sign, veto or offer amendments to bills passed in this winter’s assembly session.